I’ve been thinking about this post since last night. I was nervous terrified to even start it. Writing about it makes it real for me. And, although I pride myself on transparency, I’m usually not all that forthcoming. I’ve been posting for a straight week about races. And I love doing it. But that’s not everything about me….although I’d be OK with that too. I think about running every day…and for most of it. That is when I’m not thinking about kids, or kindergarten lessons, or knitting. My life has changed immensely in the last month. Now it’s possible you heard about the new Galloway Training Program that I’m starting in Columbus. I hope you at least know I finished the Goofy Challenge just over a week ago, and you’re welcome to read my recaps and thumb through my pictures in previous posts. Today I was announced as a new Brand Ambassador for ENERGYbits…more on this tomorrow. But the most thrilling thing…for me anyway…is something you know nothing about. And most of you wouldn’t even notice, or care. If you know me personally, and have seen me in the last month, you may have picked up on this change. 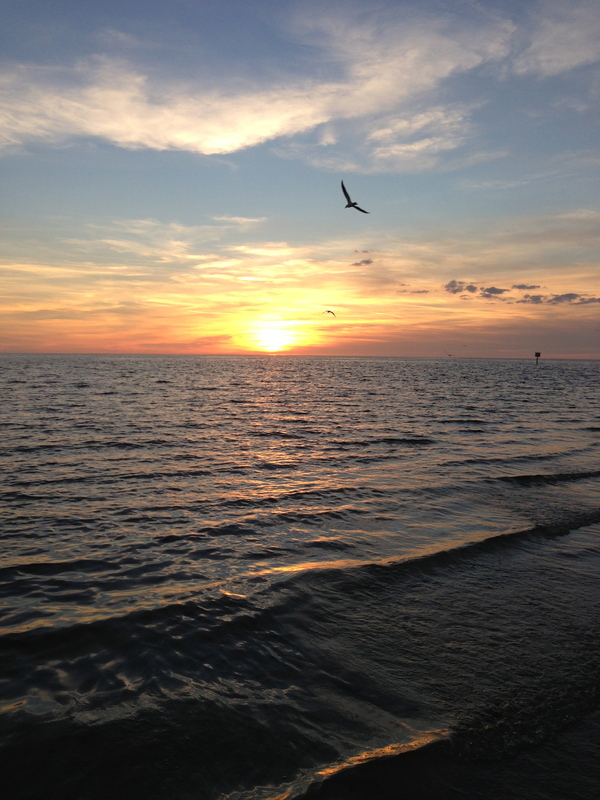 …when the sun went down on the Gulf Coast of Florida. After that night, I knew my life would never be the same. That smile I can’t wipe away…that’s not typically there. My excited speech…trust me…I’m not usually that talkative. And I know I’m in way over my head here. But I don’t care. Because I’m so deliriously happy. And I’m not going to let anything or anyone take that away from me. Go ahead and try. This entry was posted in Life and tagged Florida, happiness, love, Pine Island. Bookmark the permalink.